It's been a hectic past few weeks, largely due to getting everything together for publication of my novel. I finally got the dedication and acknowledgments put together and sent it in to Limitless Publishing for inclusion in my book. Between working full time, keeping up with normal household duties, gardening, and so forth I've hardly had a chance to breath. I have to admit, I've probably been something of a pain to Limitless, they have been very nice, working with me to iron out all my issues. Next, I need to review a pdf version of my book and iron out any issues I see with formatting, spelling, punctuation, etc., before it goes to print, After that is the pre-publication sale on Sep 26 where all you faithful followers can order a copy or two (or more if you want) ahead of actual publication (they call it "live") due to happen on Oct 6. A few days ago, a friend of mine I went to high school with contacted me. He is the Master of Ceremonies at our upcoming 50th Class Reunion. I hadn't heard from him since we graduated, so I was a huge surprise, and great to hear from him. Then, he dropped a bomb on me: he wants to honor me and my novel. Wow! That's great. He wants to have several copies of my book available for sale at the reunion party. 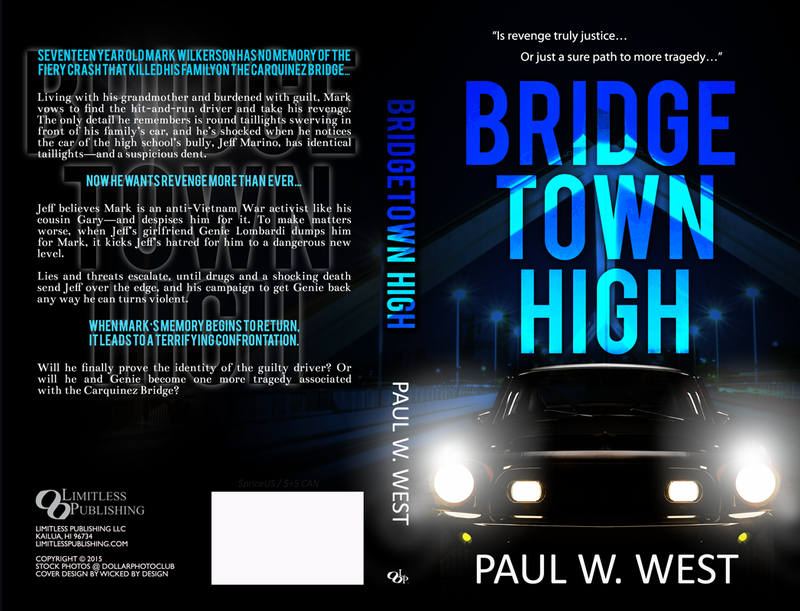 You see, Bridgetown High is set in John Swett High School in Crockett, California. Then, I had to break the bad part of the news, my book won't be available for the reunion. The reunion is being held on Oct 3, three days before the live publication date. Well, I have a lot of my old friends on Facebook, so I hope they will still purchase a copy or two (or more as they wish). So, hang in there, all you faithful followers. The ride isn't over yet.